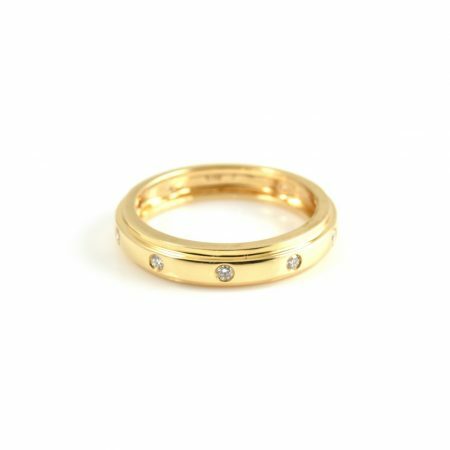 An 18K yellow gold hammer set diamond wedding ring. The ring is hammer set with round brilliant cut diamonds evenly spaced around the finger, with a parallel edge finish. Looking for a similar style in white gold? Click here.